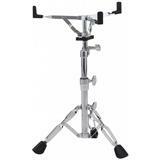 Professional heavy duty snare drum stand. 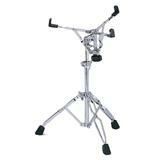 Includes double-brace legs and memory lock. 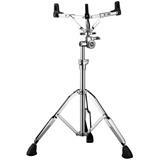 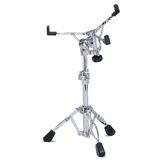 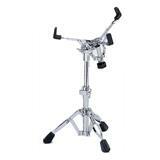 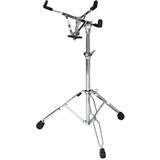 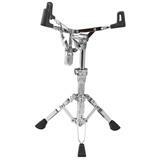 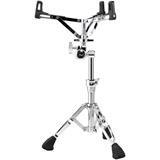 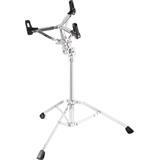 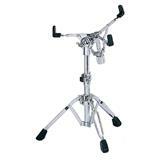 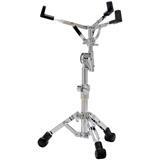 Professional Heavy Duty Snare Drum Stand, Range from 8" to 14" Snare, Double Legs, Adjustable in every Angle. 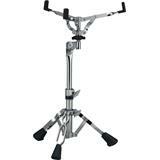 Poids mi-lourd double embase. 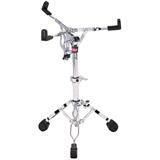 Panier ajustable bras articulé. 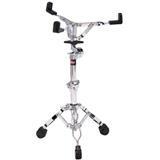 Gros patin en caoutchouc. 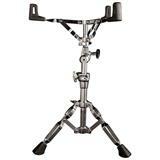 Here's a sturdy double-braced snare stand that will stand up in any situation and won't kill your budget, from Soho.